Indian tennis star Sania Mirza was recently blessed with a Baby boy Izhaan. The tennis player has married Pakistani cricketer Shoaib Malik. The couple welcomed their first child on October 30, 2018 and rather aptly named him Izhaan Mirza Malik. 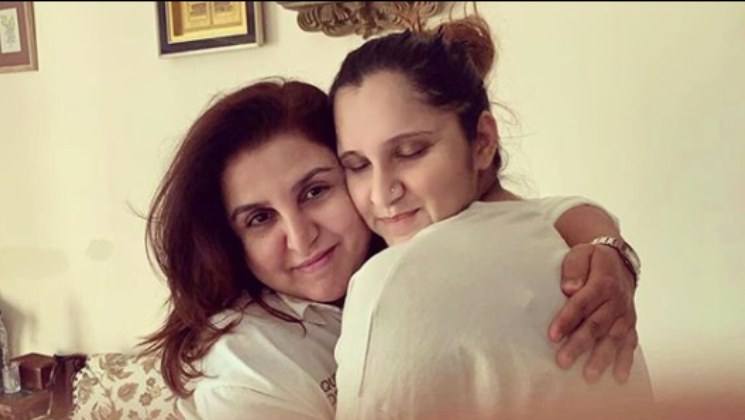 Sania Mirza is very close friends with filmmaker Farah Khan and the duo have always shared a close bond and also have mutual admiration for each other. Farah Khan is known for her magnanimity and friendship. The ‘Happy New Year‘ director is a wonderful person and has always been known in the industry for her humble and caring nature. Sania Mirza and Farah Khan had also appeared together on Karan Johar‘s chat show ‘Koffee with Karan’ during its fifth season. The camaraderie and bond between Sania and Farah comes across as organic and without any strings. So, if ever a biopic is made on Sania Mirza’s life and her achievements as a tennis player, who should helm this project? The director of the film has to be Farah Khan, don’t you agree?